Her skill set grew, as well as her ability to transform people into any character a director could imagine. She found herself in Los Angeles pursuing makeup artistry in the film industry. 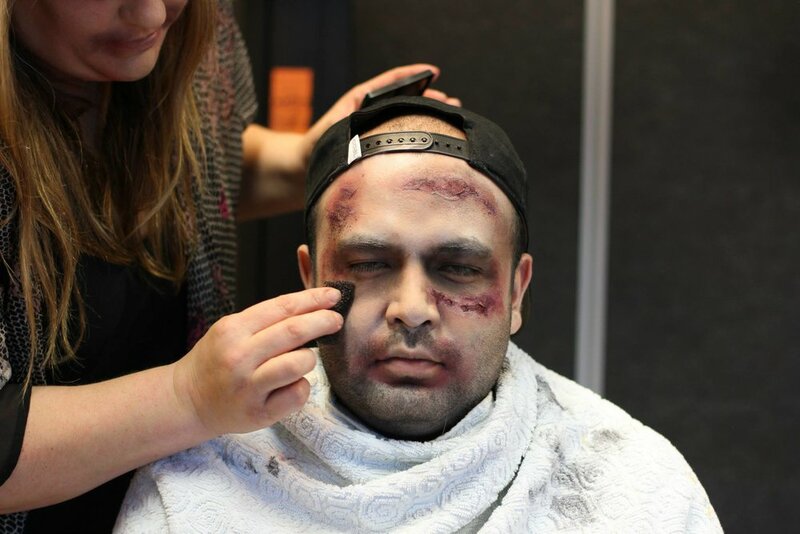 Her passion grew with her abilities and landed her a Character and Beauty Makeup artist job in the Makeup Designory program in Burbank, California. Since then, her credentials continued to mount, as a licensed esthetician in 2003, as well as a master skincare therapist and waxer. A major component of Annie’s business as a freelancer is the wax service she provides. Annie provides facial waxing, brow tinting, brow shaping and makeup application for individuals by appointment in her home. She also makes these services available on site for bridal parties, for example; but also for small businesses, schools and companies in the community that may want to find creative incentives for their employees or provide an excellent and efficient opportunity for their staff’s beauty maintenance. Thanks to her client base and the fact that Annie is an independent freelancer, she is able to provide extremely reasonable pricing for her artistry and skills. To be successful in the beauty industry, Annie has not only mastered her artistry, she loves what she does and the people she serves. “Working with women is my joy. I love being silly and having fun (almost all the time, honestly), but I also love to talk about life. I love the one-on-one time and real talk that my job allows me. I also love the face that women make when they look in the mirror and feel good. It seems like a shallow thing to a lot of people, but it’s a little confidence boost that I’m happy to be a part of,” says Annie. Annie maintains a blog about her business and industry at: http://professionalbeautyaddict.blogspot.com.